The Denison University rugby team celebrated their 18-12 victory on Saturday against University of Findlay. After working hard for an entire 80 minutes, the Big Red came home Conference Title champions. Rugby matches are split into two 40 minute halves. During the first 40 minutes, Denison dominated play and refused to let the opponent score. Margaret Mahoney ‘19 and Abby Rednizer ‘18 scored two tries within the first 20 minutes. These 10 points set the tone for the rest of the game. “This was the first even match that we have played all year. The outcome of the game could have gone any direction. However, I believe that our intensity and momentum in beginning minutes of the match made all the difference,” a second captain Alex Cardarelli ‘18 said. In the second half, Findlay became more aggressive and scored two tries (10 points) and one conversion (2 points). With Findlay slide tackling and repetitively violating the rules, the referee decided to grant Denison five points, which resulted in a 15-12 lead. Kendall Carabollo ‘19 topped off the win by scoring three points off a penalty conversion. 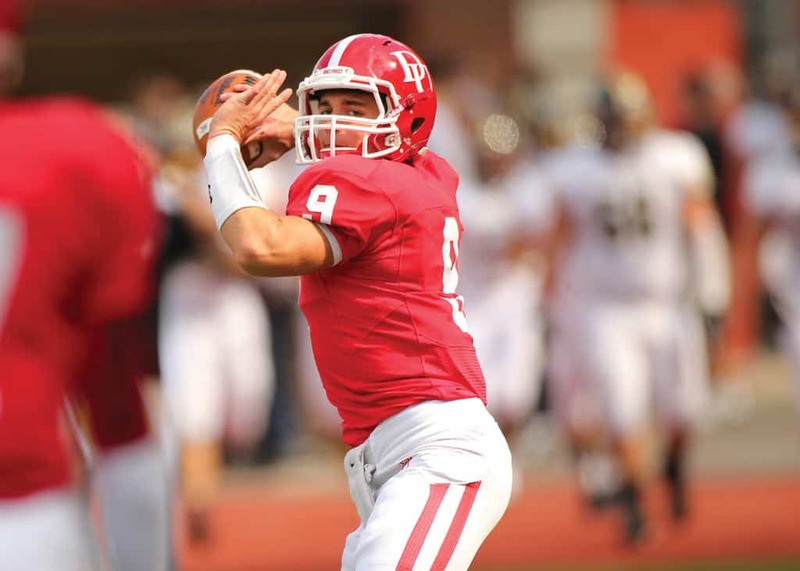 Ending the game in an 18-12 victory, Denison stepped off the field prideful and triumphant. McNulty was recognized as the MVP of the conference. “I wasn’t expecting to be MVP. It is nice to be known as the team in the conference that everyone wants to beats. Being recognized and knowing that all our hard work has paid off is truly one of the best feelings in the world,” McNulty said. Denison, now the sixth ranked team in the country, will be hosting regionals against Nerman College at home this Saturday November 12th at 2 p.m.